Wild: From Lost to Found on the Pacific Crest Trail is a first person account of the author’s experience walking 1100km of the Pacific Crest Trail (PCT), from California to Oregon. The amazing (and dangerous) thing is that she did so without any prior experience with hiking or camping. In this book, she not only describes the journey itself but also writes of what led her to take on this arduous trek and what she learned along the way. Cheryl Strayed decided to hike the PCT, almost on a whim, to escape her life. She was mourning the death of her mother, had recently gone through a divorce, and realized that she was on a destructive path. She was seeking asylum, when she happened to pick up the PCT Trail Guide from her local outdoors store. From that moment, she decided that walking the trail would turn her life around. And so begins her tale. The thing about memoirs is that, in most cases, you have to like the person writing in order to like the book itself. 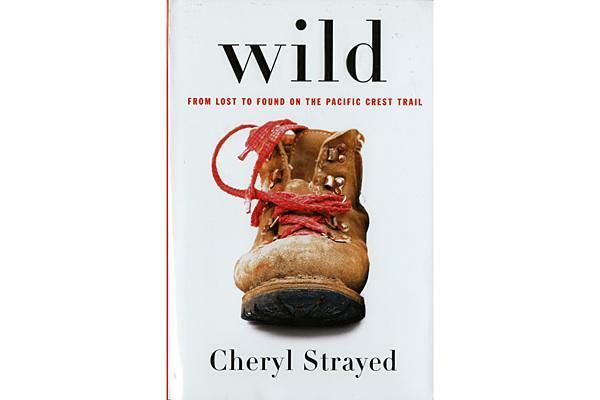 In the beginning, I wasn’t so sure what I thought about Cheryl Strayed as I was shocked by many events from her past (she cheated on her husband and experimented with some pretty heavy drugs.) But she writes with such honesty, that as I continued reading, I found myself starting to cheer for her. I admired her bravery and her candid nature. She doesn’t hide or rationalize her past wrongdoings, nor does she shy away from describing the awkwardness, hardship and danger she endures on her trip. She nearly gives up but she pushes on, usually with the help of strangers she meets along the way. The experience of exhausting herself on the trail helps her to release some of the pain she carried from her mother's death, her failed marriage, and the damage she had inflicted on herself. The months of long, hard hiking allow her to realize who she is and gives her the ability to tap into the generosity of others and the beauty of nature that is just as much a part of our life experience as our painful times. Well done, Ms. Strayed. Place your hold on the library’s copy of Wild today.